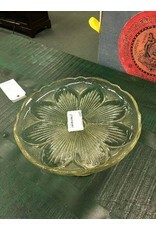 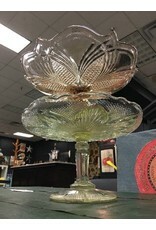 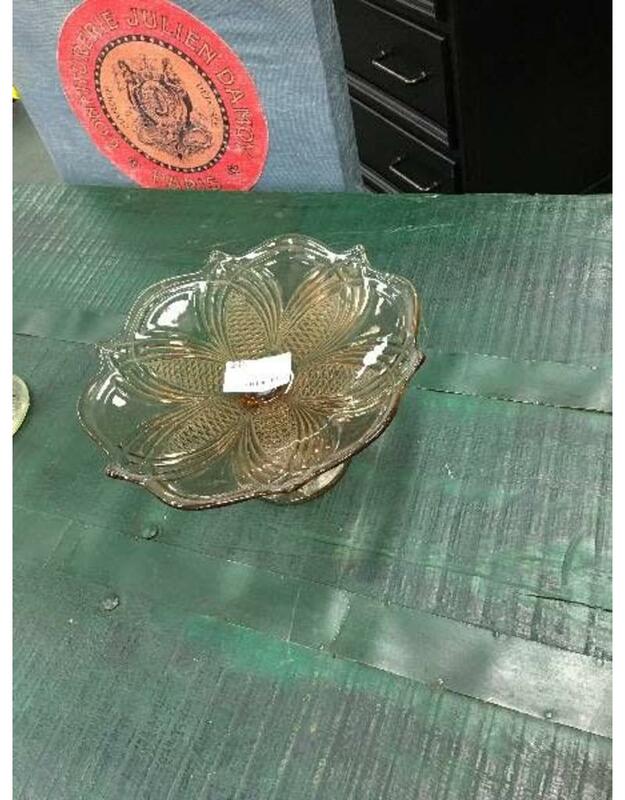 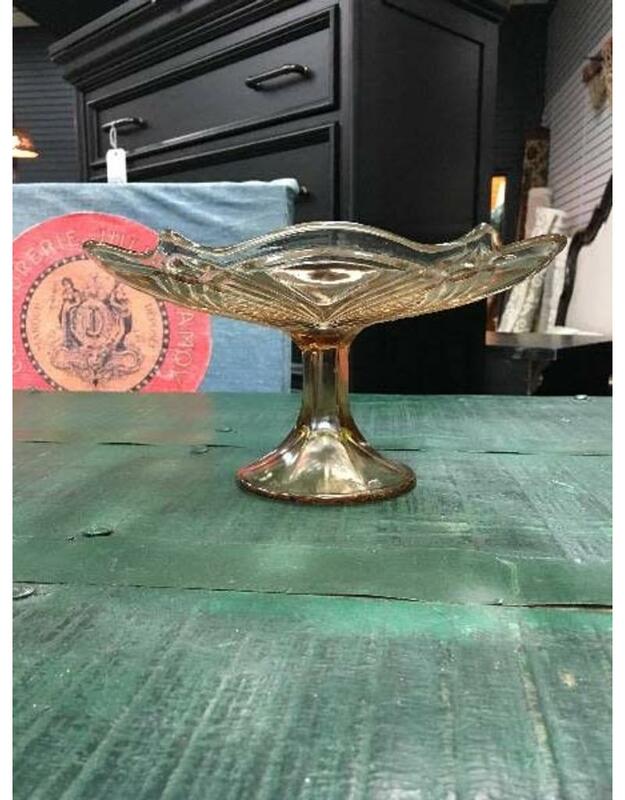 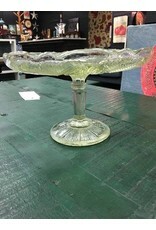 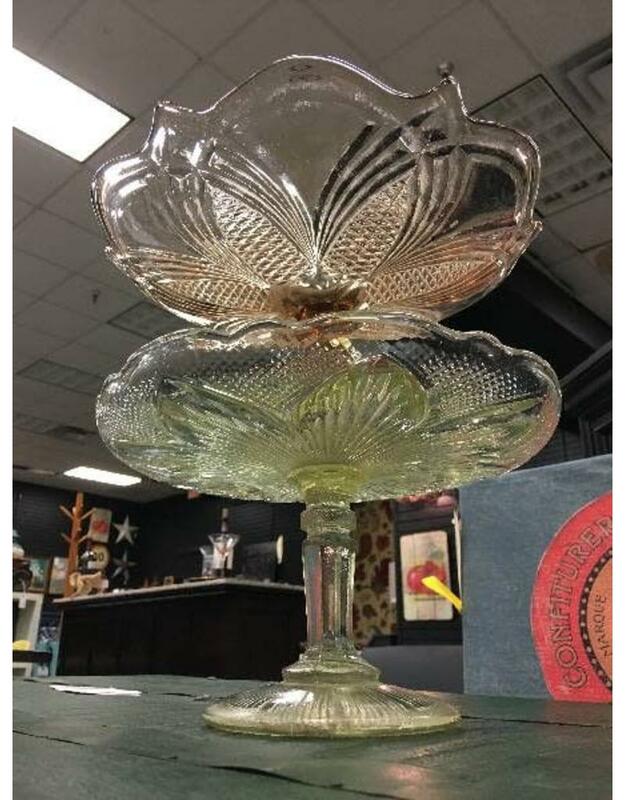 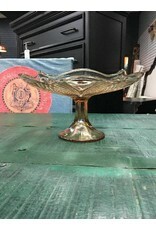 Vintage glass compote in two different hues, each with a floral motif. 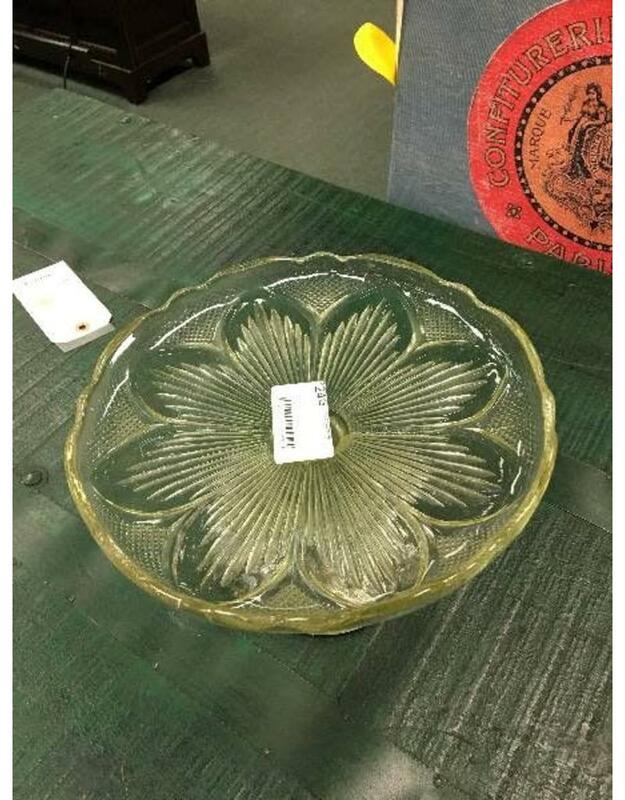 Please indicate desired color choice if purchasing online. 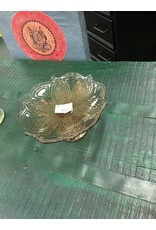 Contact the shop directly to ensure your selection is available or with any questions. 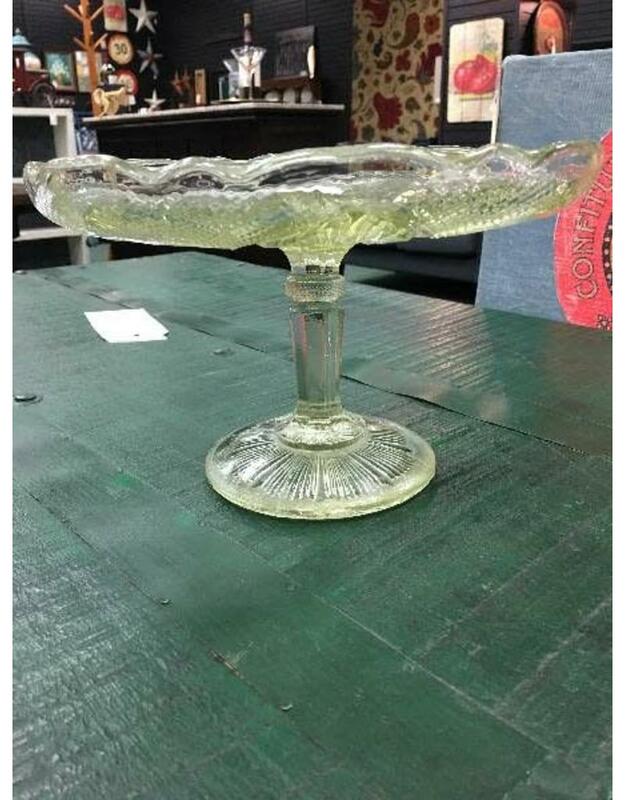 Both options will show off your signature dessert with vintage flare.